A software package (Pplates) has been developed which enables tectonic reconstructions to be done with allowances for deformation within and between plates. To do this, the software moves and deforms representations of earth topology by moving and deforming meshes (irregularly tessellated polyhedrons) consisting of planar triangular mesh faces. Each mesh corresponds to a surface represented in three dimensions and placed to conform to the surface of the earth. A general coordinate transformation matrix relating the initial to the final positions of the three vertices of each mesh face is calculated and used analogously to a deformation gradient tensor. When incorporating increasingly detailed intra-plate deformation in a reconstruction, moving objects via a deformable mesh becomes more attractive than creating ever-smaller sub-plates. 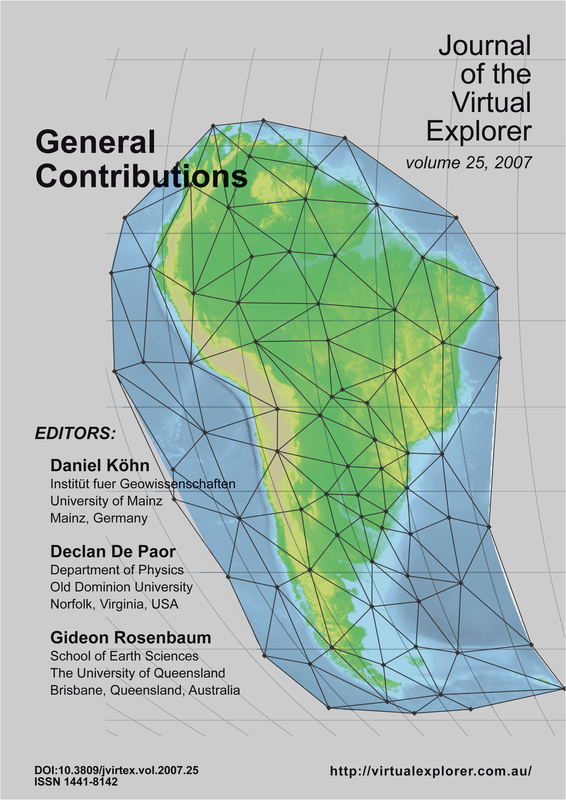 This paper reviews several tectonic reconstructions of the break up of South America and Africa and demonstrates how they can be enhanced through the use of the reconstruction software.